. AdNews and PHD advise readers that some of the content may be confronting. "Some of these may be hard to read at times, but they share an important message – it’s ok not to be ok," according to a statement from PHD. "We hope that by sharing our stories, it will encourage you to share yours and we can work together to change the perception of mental health in our industry." In AdNews' most recent issue, an investigation was launched into mental health off the back of a study released by UnLtd that found a total of 61% of creatives have symptoms of depression, 75% work while not physically or mentally well, 57% show signs of stress – the stats roll on. The issue's front cover, which saw AdNews change its name to 'SAdNews', was created by Youngbloods, an industry committee powered by The Communications Council. The members are largely aged 30 and under and work within some of the country’s top agencies, including The Monkeys, Saatchi & Saatchi, The Brand Agency, Publicis, CHE Proximity and more. PHD joins a growing number of agencies supporting the conversation. IPG Mediabrands has also been a strong supporter, launching several initiatives within its agency to improve the issue. 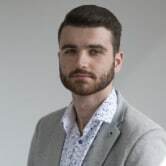 Last year, on the AdNews and NGEN podcast, Initiative's Danielle Galipienzo spoke to journalist Josh McDonnell on the adland's struggle with mental health, and the step young people within the industry should take to manage it. Readers seeking support and information about mental health can contact Lifeline on 13 11 14 or visit beyondblue. Omnicom-owned media agency PHD has thrown its support behind the conversation around mental health, releasing an internal campaign sharing real stories from agency executives. After attending the UnLtd: Big Chat - Mental Health Sydney event, members of PHD decided to collaborate to create a confronting e-book in the hope of opening up an honest industry conversation. 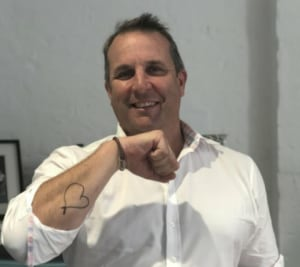 Taking inspiration from Mitch Wallis, founder of Heart on my Sleeve, a mental health movement aiming to "humanise" the issue of mental health, PHD has released an e-books. PHD CEO Mark Coad, chief planning officer Alex Pacey, marketing director Chloe Hooper and chief investment officer Lucy Formosa Morgan all took part in the initiative. You can read the stories in the e-book here. AdNews and PHD advise readers that some of the content may be confronting.